Jane Powell has been bullied and abused by her father as far back as she can remember, but Jane sees what she terms, “her angel”, a ghostly apparition she believes protects her. When downtrodden Jane finds herself in a job where her boss is abominable she finally makes use of this avenging angel, but everything has a price, can Jane withstand the cost of her wishes? I loved this dark horror novella, which is well paced and well written. I was immediately absorbed into this read and became sympathetic to Jane’s woes. Jane narrates the story and is a solid three dimensional character in literary terms. The horror element in the book is creepy, but for me the ending was just a little too tame, otherwise I would have awarded it the full five stars. I have not felt this excited by a horror since reading Susan Hill. I look forward to reading more from this hugely talented author. 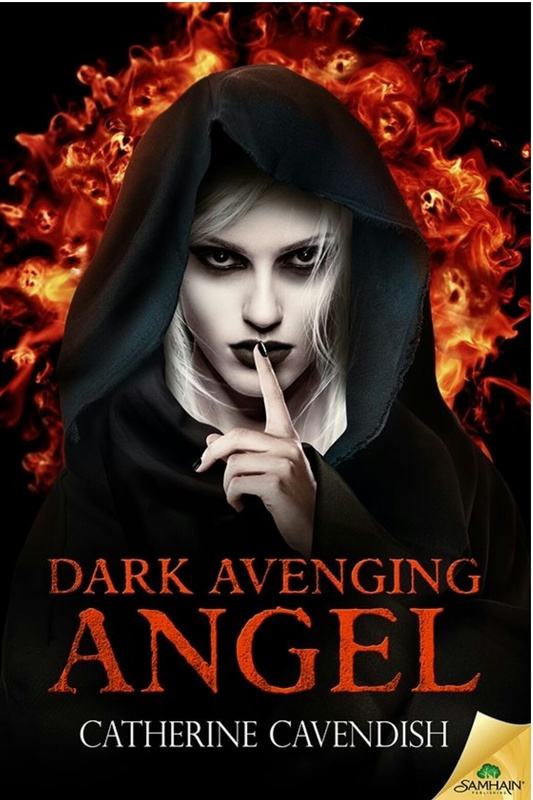 Dark Avenging Angel will be released on Kindle on 4th August 2015. It’s very eye-catching and compliments the story well. Wow! That book cover is awesome! It is, this was a great horror find.